STARKVILLE, Miss. — It’s nice when the reality matches the hype. Especially when the hype is as loud as it has been for JT Ginn. And why wouldn’t it be loud? There’s a reason Ginn was a first-round pick by the Dodgers — No. 30 overall — out of high school in last year’s draft. 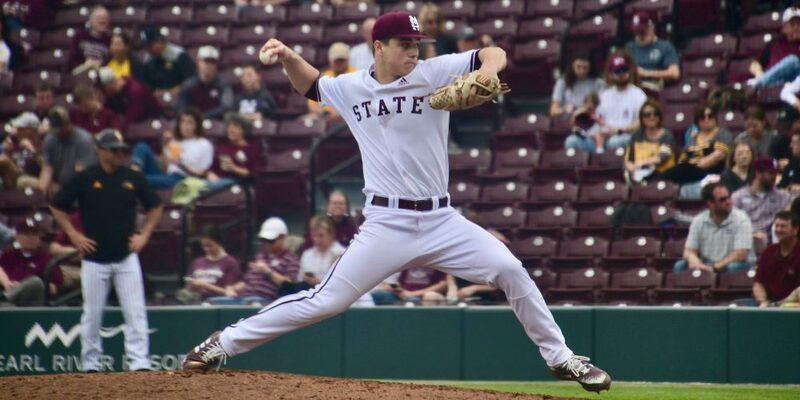 He has a long track record of dominating high school hitters with premium stuff and advanced pitchability — and he kept on doing it in the fall and preseason at Mississippi State. The Ginn reports coming out of Starkville this fall were glowing. Still, it’s another matter to do it in front of almost 10,000 fans in an intense in-state rivalry series when the games really count. And Ginn looked every bit as good as advertised Saturday in an 8-1 win against Southern Miss. Not that Mississippi State coach Chris Lemonis was the slightest bit surprised.